For the 23rd day of Twenty-Eight Days Later, please welcome Dia Reeves! 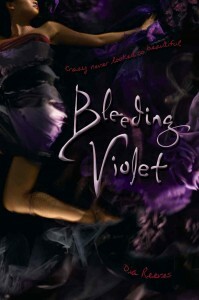 The Brown Bookshelf (BBS): Your first novel, Bleeding Violet was published to great acclaim last year, and recently came out in paperback. I know that you started the novel as part of NaNoWriMo is 2005, but how much of the novel changed between that original draft and the final, published version? Dia Reeves (DR): Acclaim, huh? I was wondering why people keep throwing flowers at my feet when I leave the house. I did indeed write Bleeding Violet for NaNo, and the first draft is nothing like the finished book. BV was originally called The Snippens, had twice as many characters, a different villain, and an apocalyptic ending. It was kinda stupid, that first draft. BV didn’t become BV until after several revisions. 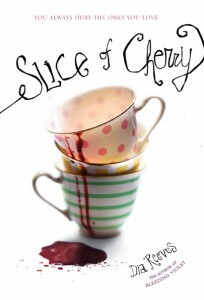 BBS: Based on glowing reviews (including a starred review from the Bulletin), it seems like your second novel, Slice of Cherry, has avoided the dreaded “sophomore jinx”. Can you talk a bit about what inspired you to return to Portero, Texas for this novel? DR: I intend to set several stories in Portero. I’ve always seen it as my own personal Twilight Zone–a place where anything can (and does) happen. The town doesn’t have any rules, and I love the freedom of that. BBS: Both of your novels are dark, and at times violent. Do you ever worry about backlash from your audience? Also, during the writing process, how do you avoid “self-censoring” yourself? DR: I don’t care if my books offend or anger people. I’m upfront about the kind of stuff I write, so people read at their own risk. As far as censoring myself: I have to watch what I do and say in public and at work, but not when I write. In my novels I can do and say what I want. It’s like having my own happy place, if you will. BBS: In addition to writing books, you also work as a librarian. Can you speak a little about how both jobs influence each other? DR: They don’t. I’m like Superman–“Librarian” is just the disguise I wear during the day. BBS: What’s your typical writing day like? More importantly, how to do find time to write? DR: I don’t have a typical day; I write when I feel like it. And I don’t find time–I make it. Writing is an act of will. You just have to do it. BBS: Do you have any advice for new authors? DR: Don’t get caught up on just the one manuscript. If you want a career, you have to get used to moving on to the next thing. BBS: Can you tell us a little about your next project? DR: I’m working on a third Portero book about a girl born without a heart who has to steal hearts from living people in order to survive. I’m hoping to have the first draft finished soon. 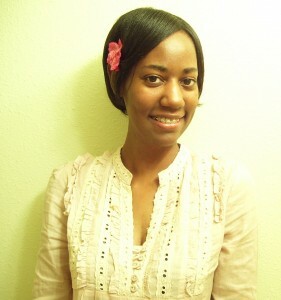 For more information about Dia, check out her website at http://www.diareeves.com.